"We are fighting a bigger fight, but it's still the right fight." 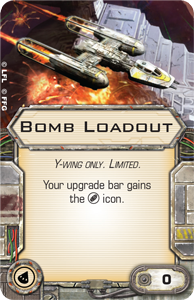 How much are your actions worth in X-Wing™? 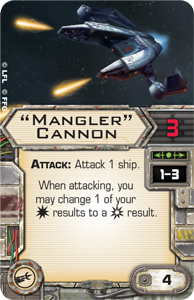 This is one of the most prominent and important questions posed by the Phantom II Expansion Pack coming with Wave XII. 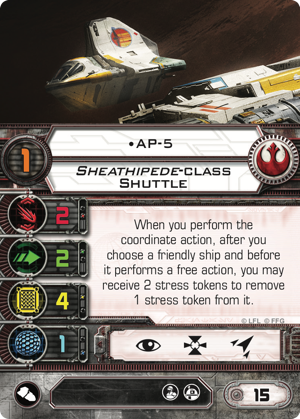 Its Sheathipede-class shuttle introduces the coordinate action to the Rebel faction's standard play options, and this, in turn, raises the potential for a whole host of Rebel squads built around new tricks, tactics, and synergies. 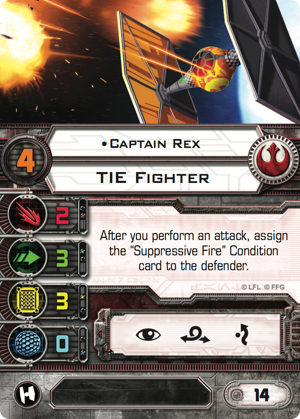 Of course, this likely comes as no surprise to veteran X-Wing players. They're used to seeing the Rebellion's plucky fighter pilots rally together and present a threat that's greater than the sum of their individual parts. 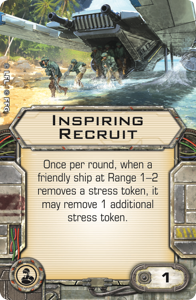 In fact, we've long seen the Rebellion's team spirit carry the faction to the top tables at the highest levels of play. It is a faction founded upon the selfless heroics of characters like Lowhhrick and Biggs Darklighter and strengthened by the likes of R2-D2 and Ahsoka Tano . 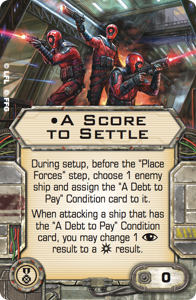 It is a faction that rewards the unique talents of characters like Sabine Wren and Corran Horn , but only when they gain sufficient support from the rest of their squadrons. And this is where the Phantom II comes into play. 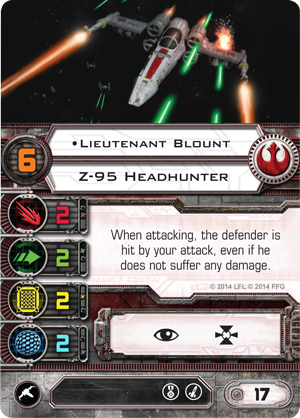 With only two attack, two agility, four hull, and one shield, the shuttle is a subpar fighter, but its coordinate action and its pilots' unique pilot abilities ensure it will have plenty to offer the rest of your squad. 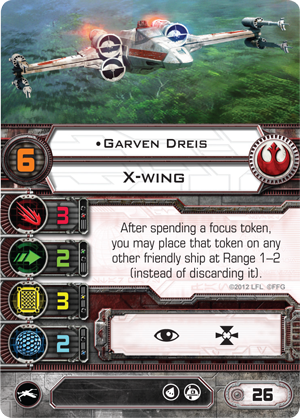 The squad building rules for X-Wing afford you a great deal of flexibility, and they invite you to explore and use of a wide variety of different synergies across all three factions. 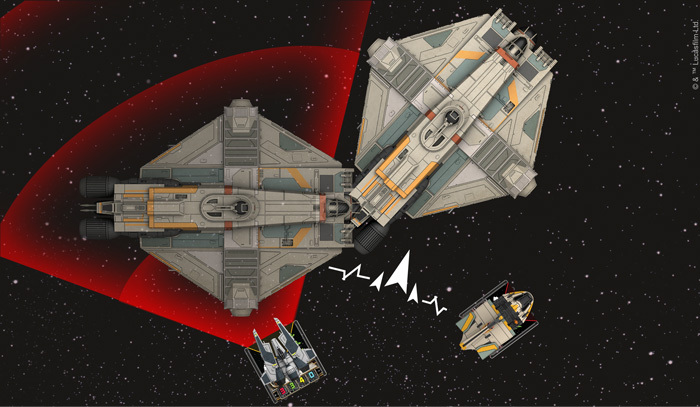 Ships come with their own actions and maneuver dials, which combine with the unique talents that the game's aces bring to the table. 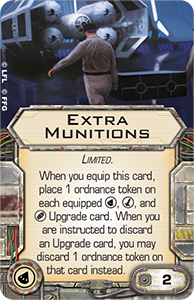 The various upgrade cards you can add to your ships permit a new layer of novel interactions, as well. 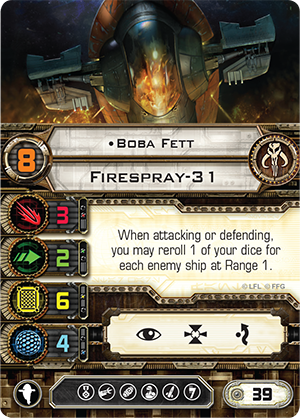 Even so—even in a game that's loaded with potential synergies—the game's Rebels have stood apart for the ways they benefit from their heroes' selfless teamwork, dating back all the way to the release of the Core Set and Biggs Darklighter. 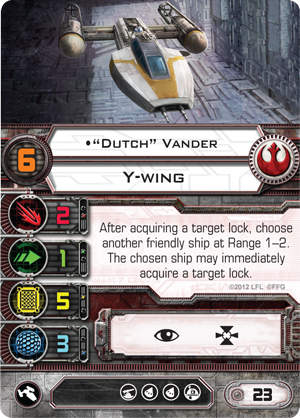 After Biggs supplied his wingmates with welcome protection, "Dutch" Vander and Garven Dreis introduced some valuable action sharing, letting their wingmates gain action-free target locks and focus tokens. 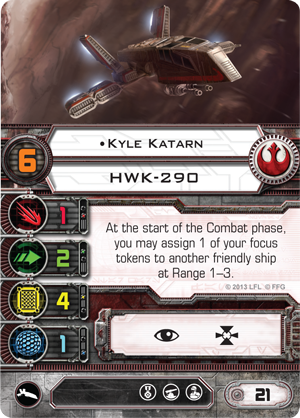 The HWK-290 Expansion Pack brought a host of additional synergies into the faction, starting with the extra attack dice supplied by Jan Ors and the focus tokens that Kyle Katarn could pass to his wingmates. 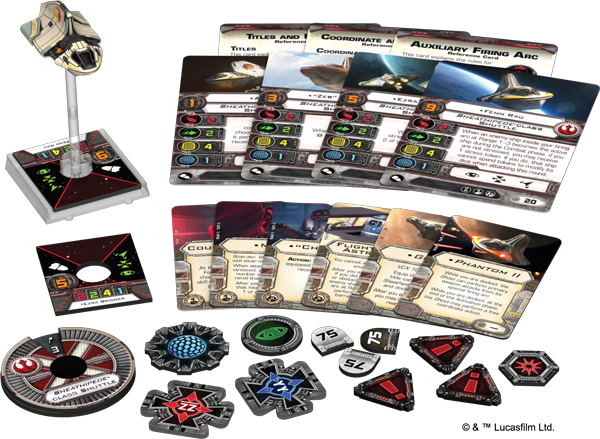 The Rebel focus on squad-based tactics has carried forward through all subsequent waves, and we've seen successful Rebel builds that focus on synergies between ships, as well as successful squads that relied heavily on a single ship like the Millennium Falcon. 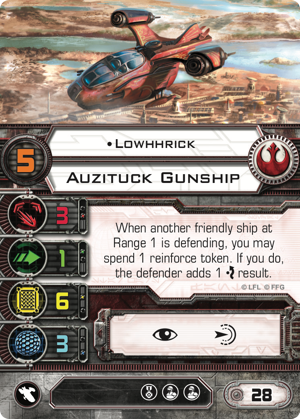 The trend continues with current squads, such as those that partner Lowhhrick with Biggs and Captain Rex to present a flexible and rugged defense. 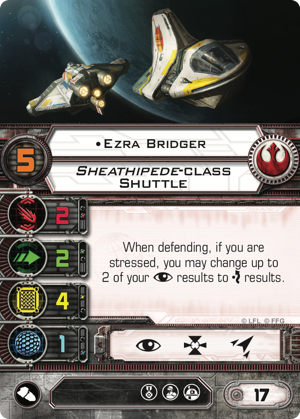 A 360-degree view of the Sheathipede-class shuttle. 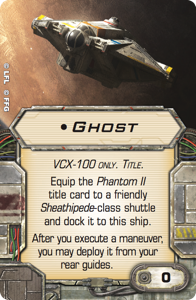 Now this cooperative Rebel effort looks to continue with the Sheathipede-class shuttle, which offers action-sharing through the coordinate action and can even grant actions while docked aboard the Ghost as the Phantom II . 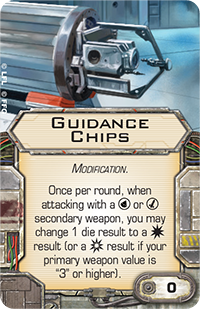 To summarize, when your Sheathipede-class shuttle performs the coordinate action, it immediate grants a free action to one of your other ships at Range 1–2. 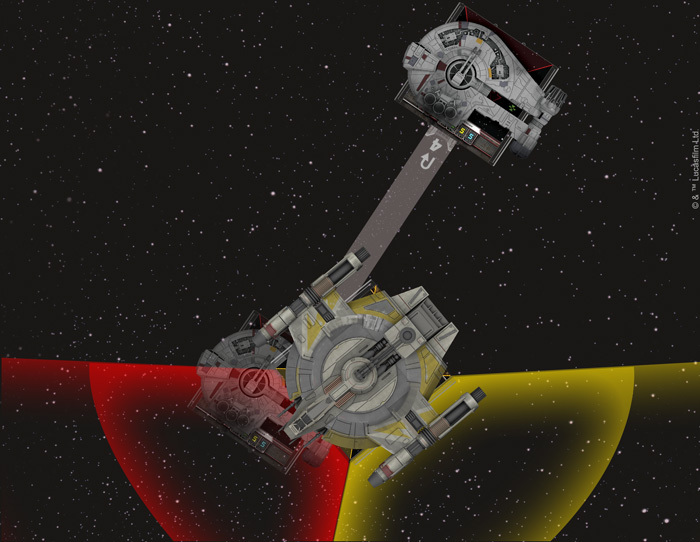 This doesn't allow a ship to perform the same action more than once, but that ship is notably not limited only to the ship's action bar or its Action upgrades. The target ship can perform any of the available actions that it hasn't already taken. This has two significant impacts on what your squad can do. 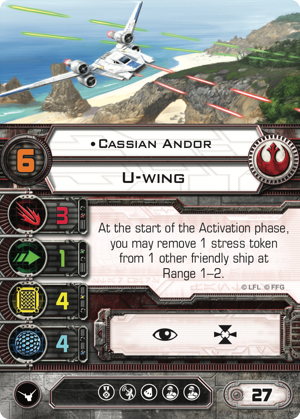 First of all, your most powerful ships can stack even more actions for the turns they need them most. 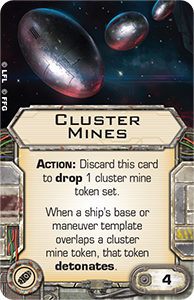 Secondly, it allows the ships you target to perform their actions during your Sheathipede-class shuttle's activation, creating powerful opportunities to react to your opponent's maneuvers or disrupt them. As an example that illustrates both benefits, we can imagine Fenn Rau flying the Phantom II at a pilot skill value of "11," thanks to his Veteran Instincts . 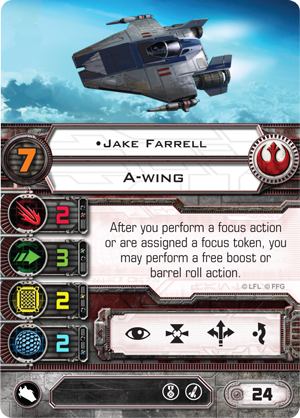 Let's say that Jake Farrell earlier moved into position to block Boba Fett and acquired a target lock on the bounty hunter before he collided with the A-wing and lost his action. 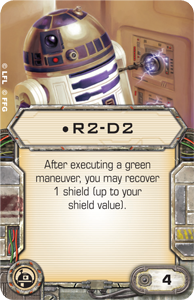 Even though this Boba Fett is at pilot skill "10" thanks to his own Veteran Instincts, Fenn Rau still gets to perform actions after Fett's activation has fully resolved. 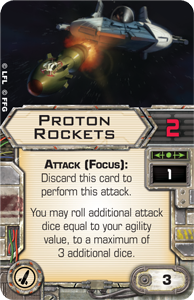 After he maneuvers his shuttle within Range 1–2 of Jake, Fenn performs the coordinate action, and Jake uses it to gain a focus, which immediately allows him to barrel roll out of contact with Boba Fett, setting up the perfect, fully modified Range 1 shot for his Proton Rockets . Here, both the token stacking and the timing of the coordinate action come together so that instead of getting no shot, Jake is firing five fully modified dice against a Boba Fett with no defensive modifications. When Do You Want to Act? 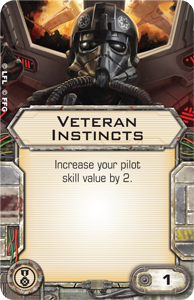 While the coordinate action can prove valuable at the highest pilot skill values, when you're most likely to take your actions with perfect knowledge of your opponent's final positions, it can also prove valuable at lower pilot skill values. 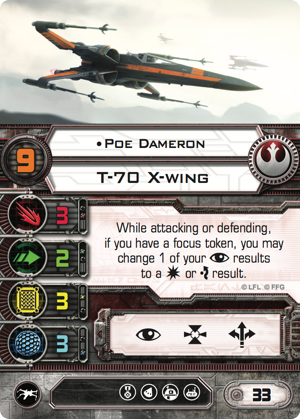 For example, if you support an ace pilot like Poe Dameron with a shuttle pilot with a lower pilot skill value—like Ezra Bridger or "Zeb" Orrelios —the coordinate action can serve almost like the Advanced Sensors system upgrade, even though Poe can't equip that upgrade. 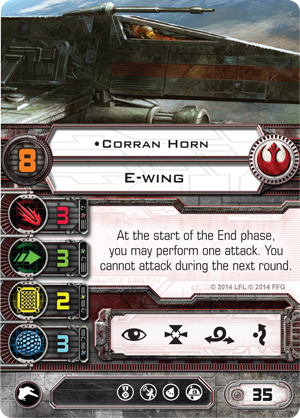 If an enemy ship maneuvers to block Poe's final position or if Poe dials in a red maneuver, your Sheathipede pilot can use the coordinate action so that Poe can grab his all-important focus token before his maneuver would deny him the opportunity. 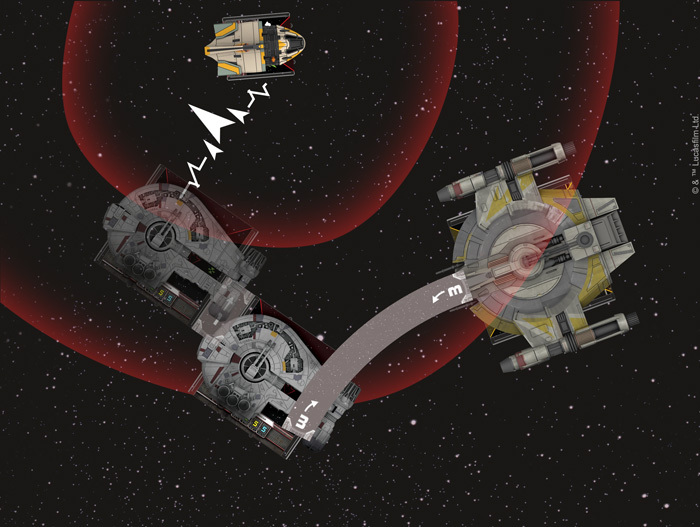 If your Sheathipede pilot has a low enough pilot skill, you could even use your coordinate action to barrel roll or boost another ship into position to block your enemy before that same ship later moves away from the enemy in order to claim a shot. 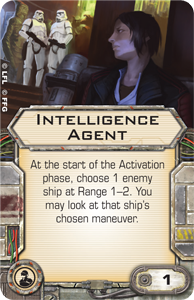 AP-5 , for instance, who activates at a pilot skill value of 1, could take advantage of the information provided by Dash Rendar's Intelligence Agent to coordinate Dash's barrel roll very early in the Activation phase. 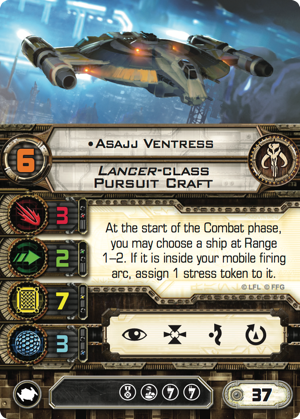 In turn, this could allow the smuggler to block the Shadowcaster's movement and deny Asajj Ventress the action she needs to adjust her mobile firing arc. On his activation, Dash could then fly away from Asajj and claim an unanswered shot with his Mangler Cannon . 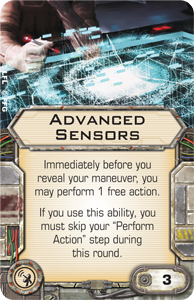 After Dash Rendar's Intelligence Agent informs AP-5 of the Shadowcaster's planned maneuver, AP-5 executes his maneuver and performs the coordinate action, allowing Dash Rendar to barrel roll into position to block. 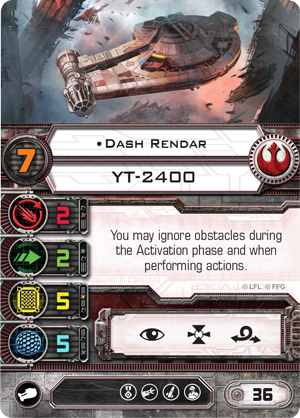 Because Dash has a higher pilot skill than Asajj Ventress, he gets to maneuver after the Shadowcaster has already collided and lost the action that would allow Asajj to rotate her mobile firing arc. Dash completes his maneuver and gets an unanswered shot with his Outrider's Mangler Cannon. 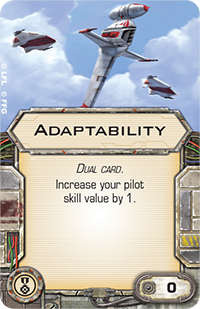 Since the value of the coordinate action varies with the order in which it is performed, the range of pilot skill values in the Phantom II Expansion Pack is a boon, affording you a good deal of flexibility in your squadron designs, as the shuttle's pilots' pilot skill values match up well against some of the other most popular Rebel pilots. 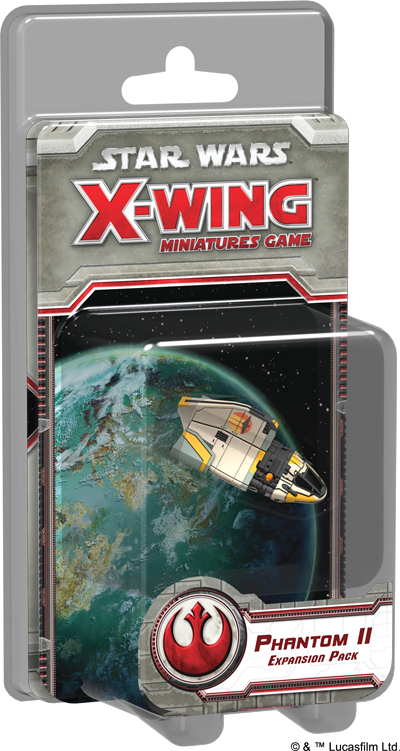 In addition to its pre-painted Sheathipede-class shuttle miniature and its four ship cards, the Phantom II Expansion Pack comes with a half-dozen upgrades to further round out your squad building options. Of these upgrades, the two most important are likely the new Ghost and Phantom II Title cards. The second of these is, of course, the expansion's namesake, and allows your Ghost to perform a free coordinate action at the end of the Activation phase. 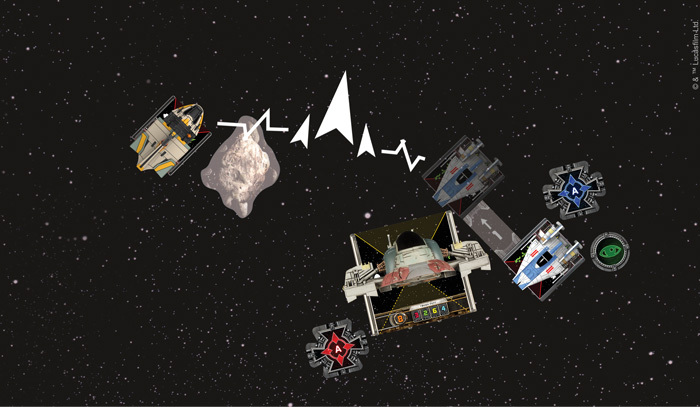 All the ships on the table have executed their maneuvers and performed their actions. You know as clearly as you ever will how the Combat phase is likely to begin. And then the Phantom II allows any other friendly ship at Range 1–2 of the Ghost to take an action to change the whole picture. Note that this happens at the end of the Activation phase, regardless of which pilot you have aboard the Phantom II. 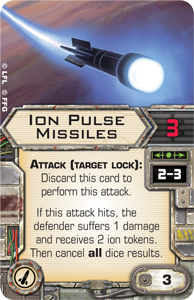 Ezra Bridger could help Lieutenant Blount acquire a target lock for his Ion Pulse Missiles just as easily as Fenn Rau could. 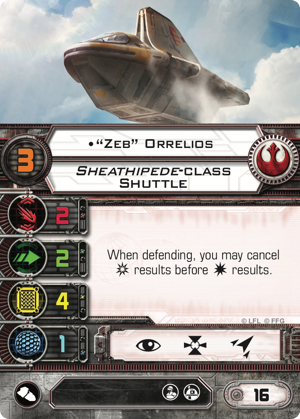 Or if you had a second Sheathipede-class shuttle, you could bounce the coordinate actions so that the Phantom II grants a coordinate to "Zeb" Orrelios, and Zeb grants a coordinate back to the Ghost, which then boosts out of a Protectorate Starfighter's firing arc, setting up a shot out of its auxiliary firing arc. 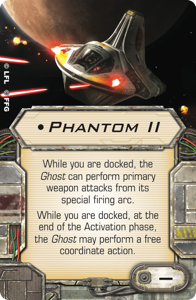 With the Phantom II docked aboard the Ghost, the Ghost performs a free coordinate action at the end of the Activation phase, granting an action to "Zeb" Orrelios, who performs the coordinate action, himself, allowing the Ghost to boost out of the Protectorate Starfighter's firing arc. 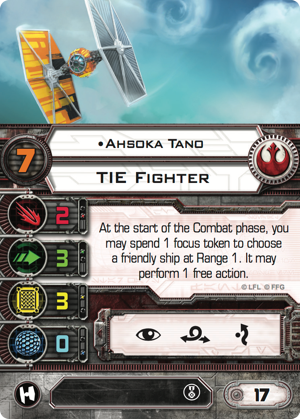 In addition to these Title upgrades, you'll find a number of crew cards inspired by Star Wars Rebels. 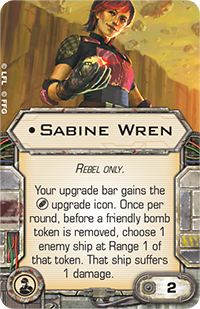 Maul is the first "Scum only" card to appear in a Rebel faction expansion pack, but his presence can be explained by the fact that his "Scum only" text can be ignored in any list that also includes Ezra Bridger. The result is that the two Force users, who got to know each other at the end of Star Wars Rebels Season Two, can enjoy an X-Wing relationship similar to the one they had in the show—centered around moments of stress and anger. 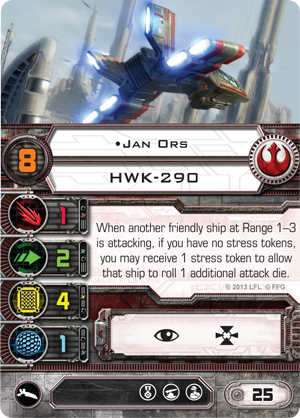 When Maul joins a ship as its crew member, he grants it the ability to reroll any number of its attack dice, but at the cost of an equal number of stress tokens. This works well for Ezra Bridger, the pilot, who can then convert that stress into an improved defense. 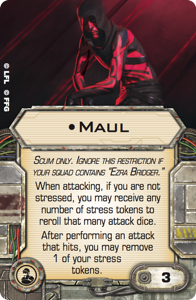 Or if the two are both serving as crew aboard the Ghost, Maul could reroll all your blanks, and Ezra could use the resulting stress to convert one of the ship's remaining focus results into a critical hit. This means the two characters, working in tandem, provide a good measure of action-free dice modification. 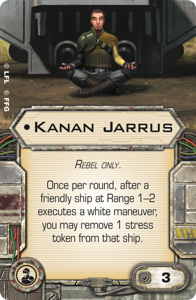 However, you still need to clear your stress in order to use Maul again next round, and this is where the Rebel faction's typical selflessness comes into play as Inspiring Recruits , Kanan Jarrus , and Cassian Andor are all willing to line up and help remove their allies' stress. 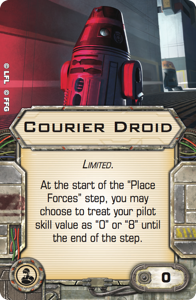 The next crew member in the Phantom II Expansion Pack is the zero-cost Courier Droid whose ability might play into your plans for setup, but who is just as likely to be sacrificed by the new astromech version of "Chopper." For just a single squad point, "Chopper" introduces a limited measure of shield regeneration, allowing you to recover one shield for each other upgrade you ditch as an action. 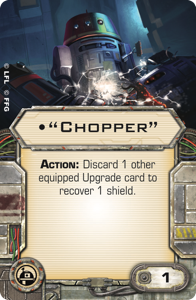 Given enough time, "Chopper" could provide pilots like Ezra Bridger with as many as four extra shields—and for just one squad point. 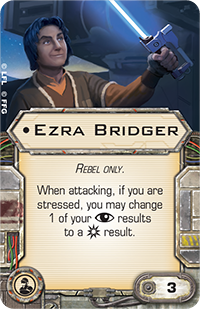 Admittedly, doing so means loading Ezra with a zero-cost elite pilot talent like Adaptability or A Score to Settle , as well as a Courier Droid, a set of Guidance Chips , and the Phantom II Title. But if you have the actions to spare, that's suddenly a ship with two attack, two agility, four hull, and FIVE shields—for eighteen squad points. And "Chopper" can lend a surprising measure of value to a number of other Rebel ships, as well, such as the E-wing and a Y-wing outfitted for bombing. 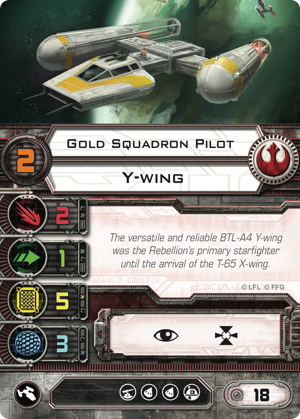 For just a single squad point, "Chopper" can potentially add as many as five shields to this twenty-eight point Y-wing. 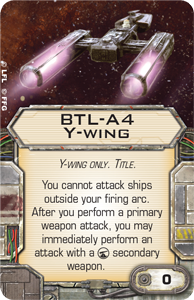 More than that, he can transform it, stripping the BTL-A4 Y-wing Title as an action, thereby allowing the ship to surprise an enemy pilot who might have thought he'd safely lined up a maneuver outside the Y-wing's firing arc. 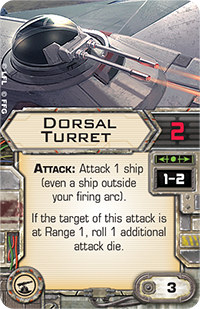 Finally, the expansion's Flight-Assist Astromech presents another one-point astromech option, but this is one designed for budget boosts and barrel rolls. 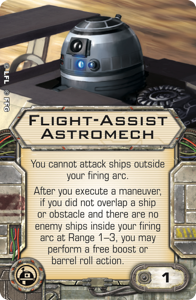 A boon to both Fenn Rau and the game's T-65 X-wing pilots, the Flight-Assist Astromech helps you adjust to find a shot against any foe you might just have missed. 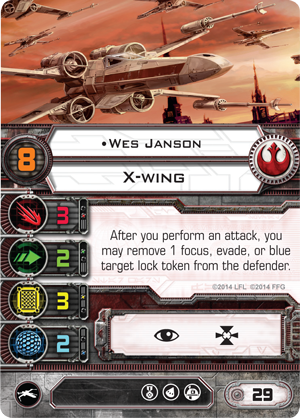 And the fact that it's a free action means that your X-wing aces like Wedge Antilles and Wes Janson can still use their actions to focus or target lock—and at pilot skill values as high as 10 and 11. 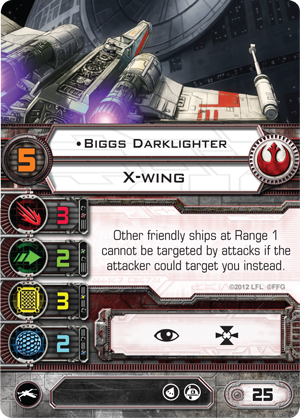 How much are your actions worth in X-Wing? The answer depends upon when they're taken, who's taking them, and what they can do for you. 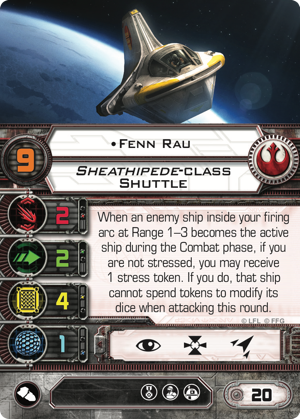 But the fifteen squad points you might pay for AP-5 or the twenty squad points you'd pay for Fenn Rau in the Phantom II? Those are a bargain. In fact, there are bargains everywhere to be found in the Phantom II Expansion Pack. Although the shuttle neither looks nor flies like a fighter, there's no doubt that it's battle-worthy. This is a ship that makes its whole squad better. How will you make use of your Phantom II Expansion Pack (SWX72)? Share your thoughts with the members of our community forums. Then head to your local retailer to pre-order your copy today, or click here to pre-order yours on our website!